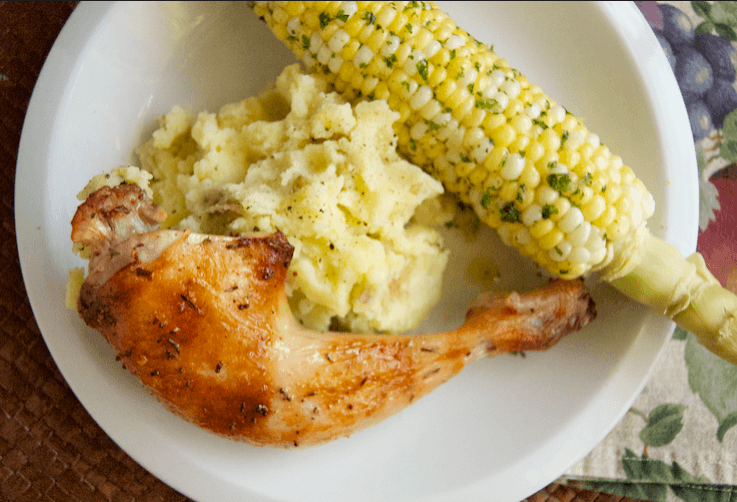 Roasting chicken in the oven is so simple, yet it brings so much flavor. I am a firm believer that roasted chicken should be in every home cooks repertoire. 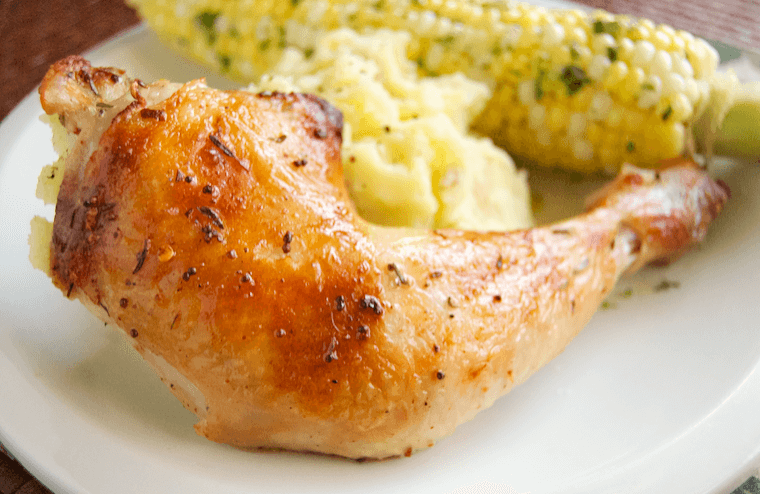 This version has the chicken marinated in lemon, thyme, garlic and whole grain mustard. If you are feeling even more lazy, you can simple sprinkle the chicken with salt and pepper and bake! My trick to the super crispy skin is turning up the oven to 425F for the last 5 minutes to really let the skin crisp up. Combine all ingredients except 1/2 t salt and pepper in a large bowl. Coat the chicken evenly with the marinade. 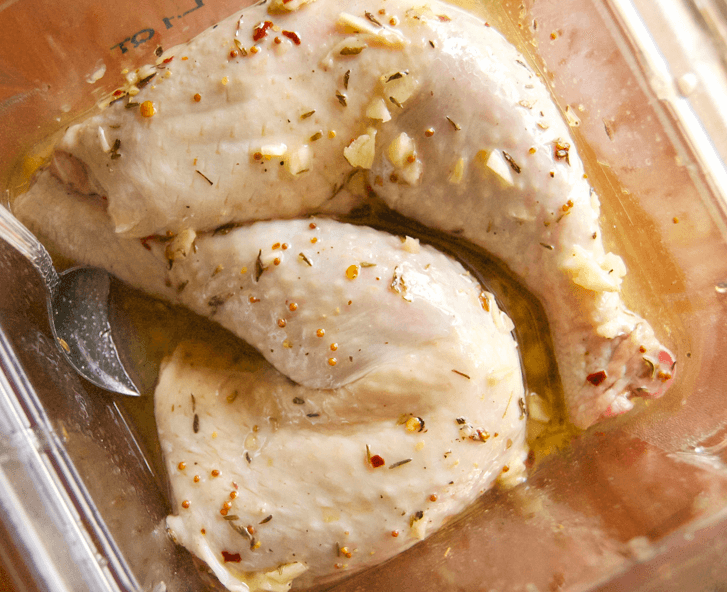 Let marinade for 2-4 hours, flipping and re-rubbing half way through. Preheat the oven to 375F. Season the chicken with the remaining 1/2 t salt and 1/2 t pepper. Place chicken, skin side up, on a well oiled baking sheet. Bake for 30 minutes on 375. Raise the temperature to 425F and cook for an additional 5 minutes.